Located some 600 km southeast of Samoa and surrounded by deep ocean, Niue has a total surface area of 250 square kilometres. It is one of the world’s largest coral islands and smallest self-governing states. The island is surrounded by a narrow low terrace, where the island’s 14 villages are located. Behind the terrace are 30 metre cliffs. There are no surrounding protective reefs and the capital, Alofi, is on the western, lee side of the island. About 20 per cent of the population lives in or near the two villages Alofi North and Alofi South that make up the capital. Other villages are laid out around a central, flat open space, known as the male, which is used for meetings, sports events and ceremonies. Most houses face the church and the pastor’s house, the most significant buildings in the village. The interior of the island is basically a saucer-shaped plateau, which is covered in scrub, second-growth trees and gardens. In the southeast, a large area of virgin rainforest has been set aside for conservation. Niue has an average temperature from December to March of 27 deg C and from April through to November an average 24 deg C.
East-southeast trade winds give way during the wet season (November to March) to variable winds and occasional storms. Tropical cyclones occur on average once every seven years, causing considerable damage to both buildings and agriculture and driving migration. The most recent major cylones were Ofa (1989) and Heta (2004). Destruction caused by Heta, the biggest on record, led to the relocation inland of government buildings and the reconstruction of the hospital. 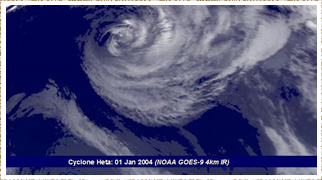 Cyclone Heta had winds of 140 knots (260 km/h) and gusts even stronger (over 300 km/h). Cultivation is difficult because of the terrain: a thin layer of fertile soil surrounding jagged limestone pinnacles. Nevertheless agriculture remains important, not only to raise food – especially highly prized ceremonial foods – but also to symbolise the central values linked to the Niuean identity. 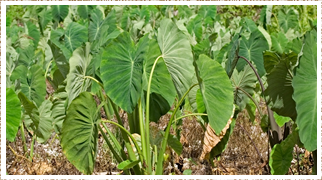 Crops include talo (taro), yams, and tapioca, and tree crops such as coconut, breadfruit, papaya, mango and bananas. Food crops also sustain the production of pigs. Fruit bats, birds and land crabs are hunted and fern shoots and other vegetation are gathered. Commercial talo production is Niue’s main export crop. Deep-sea fishing yields yellowfin tuna, red bass, and sailfish. Migration to New Zealand and further afield has been a feature of life on Niue since the opening of the airport in 1971. Every five-year census since then has recorded a decline in the population. The official population in 2009 was cited as 1400, but is now thought to be closer to 1200. Some 22,000 Niueans live in New Zealand. The economic base of the island is foreign aid, with more than 80 percent of employed adults working for wages for the government. Per capita aid remains among the highest in the world. Tourism, based on deep-sea scuba diving and snorkeling, is of increasing economic importance but, like export agriculture, it is vulnerable to disruption because of bad weather. The New Zealand Government is making a concerted effort to reduce Niue’s dependence on aid. It is making a major investment in tourism based on the recommendations of consultant Trevor Hall. Priorities are improved visitor accommodation and more frequent air services. Niuean is related to other western Polynesian languages, such as Samoan and Tongan. Most Niueans are bilingual. Niuean tends to be the language of family and village life, and English the language of business. Niue lacks hereditary rulers. It has a culture that values individual achievement, social mobility and a strong work ethic. Elders are normally obeyed and respected with special accord being given to males and first-borns. Gifts are frequently exchanged informally as well as formally, signaling esteem and friendship, and are expected to be reciprocated at some later time. Unlike some other Polynesian cultures, Niue has not had a strong tradition of preserving historical artifacts, oral storytelling or the recitation of genealogies. However, traditional dances and songs are featured at important events such as weddings and official ceremonies and there has been a recent revival of several handicrafts, such as the building of canoes by hand and the making of hiapo (tapa), mulberry bark cloth. 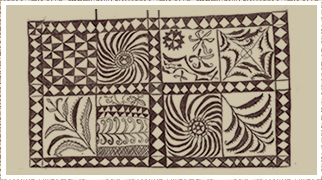 Most funding for the arts comes from overseas; the New Zealand government is interested in fostering and maintaining traditional Pacific arts and crafts. Most Niueans are Christian, with 75 per cent affiliated with the Protestant Church of Niue (Ekalesia Niue). In general, pastors are men trained in seminaries in Samoa or elsewhere who play a central role in village life as spiritual and civic leaders. To varying degrees, most Niueans still embrace older religious ideas, believing in a supernatural world inhabited by aitu and spirits of dead ancestors. Any location at which an unexpected or violent death occurs will have a fono or prohibition placed on it, distancing the living from the revenge of ancestral spirits. Until the pastor lifts this tapu, people will not visit or will behave there in a very circumspect fashion. Caves or chasms with a history of importance in human affairs are named and treated with respect because of supernatural associations. 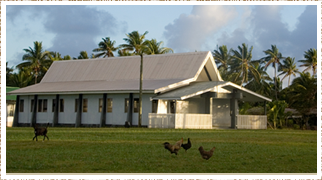 Sunday is a day of rest on Niue with local people attending church. Fishing and boating are prohibited. Visitors should use discretion when taking part in activities on a Sunday. Independence from New Zealand was granted on 19 October 1974, based on the world’s first Compact of Free Association – a model used subsequently in independence agreements by other Pacific societies. 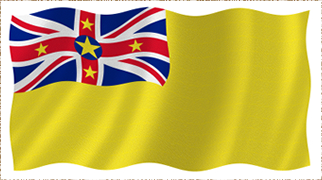 This gave Niue self-determination but continued New Zealand citizenship, monetary aid, and military protection. There is a democratically elected parliamentary government, with the premier chosen by a vote by the 20 elected representatives in the Fale Fono (Niuean Assembly). Niueans are citizens of New Zealand and travel on New Zealand passports. The head of state is Queen Elizabeth the Second. The local currency is the NZ dollar. Schooling is compulsory, secular, and free for all children ages 5 to 14. At more advanced grades, instruction is delivered in English. 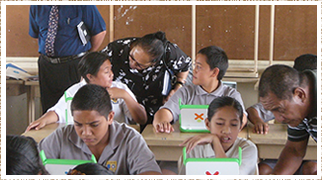 The curriculum is modeled on that used in New Zealand schools but includes materials especially designed for a Pacific Island context. University or other tertiary education is available only overseas. Students are selected for further training and supported by government scholarships and then return to take up government jobs, such as physicians or nurses, engineers, technicians, administrators and managers, teachers, and mechanics. High-quality (Western) biomedical care is available free of charge. Emergency services and in-patient care for surgical conditions are provided at Lord Liverpool Hospital in Alofi. Patients requiring specialist care are sent by air to nearby countries. Herbalists and traditional healers (taulaatua) are also patronised by locals. There is a basic social welfare programme on Niue. Constitution Week is Niue’s annual week of national celebration. It begins on the Monday that falls nearest to 19 October and continues until the following Monday, when Peniamina’s Day is celebrated. Constitution Day: Celebrates the signing of Niue’s Free Compact of Association with New Zealand on 19 October 1974. Peniamina’s Day: Peniamina was a Niuean who, following a visit to Samoa, returned on 26 October 1846 with Samoan missionaries. He is credited with bringing the Bible and beginning the modernisation of Niue.